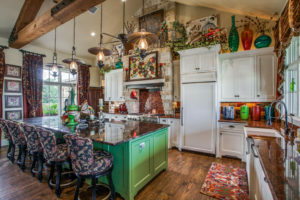 Situated just north of the Dallas-Fort Worth Metroplex, amidst the rolling grasslands of southern Montague County, lies a pristine property known as the Walking C Ranch. This ranch offers beautiful rolling grasslands and thick cover- ideal for both livestock and wildlife. 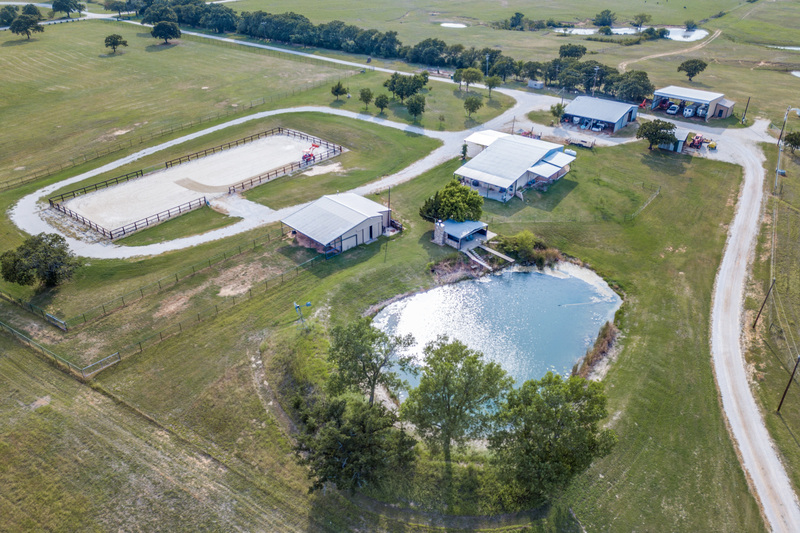 The property is located approximately 20 miles north/northwest of the city of Decatur, TX in Montague County. 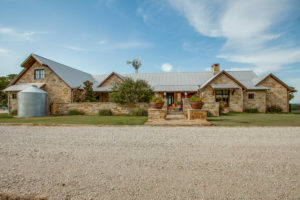 It has road frontage on Huddleston Rd and Denver Rd with the primary address being 1067 Huddleston Rd Sunset, TX 76270. 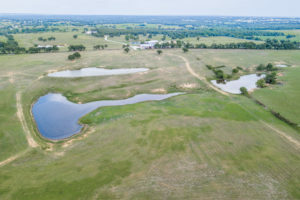 The property is approximately 65 miles NW of Fort Worth and 90 miles NW of Dallas. Land: The land is currently being used for agricultural and recreational purposes and has improved pastures and cattle on the property. The property has an agricultural exemption. The water and surface water on the property is abundant. There are a total of 15 stock ponds in various sizes on the property, including the swimming hole. 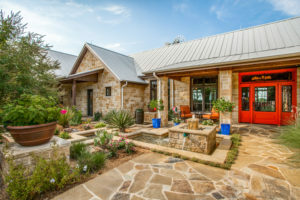 There are several water wells with the main house being served water from the Trinity Aquafer, as well as a collection system for rain water and a 2,600 gallon holding tank. The elevation on the property ranges from approximately 1,060 +/- feet above sea level at the highest point of the property located on the south side of the property where the main house sits. 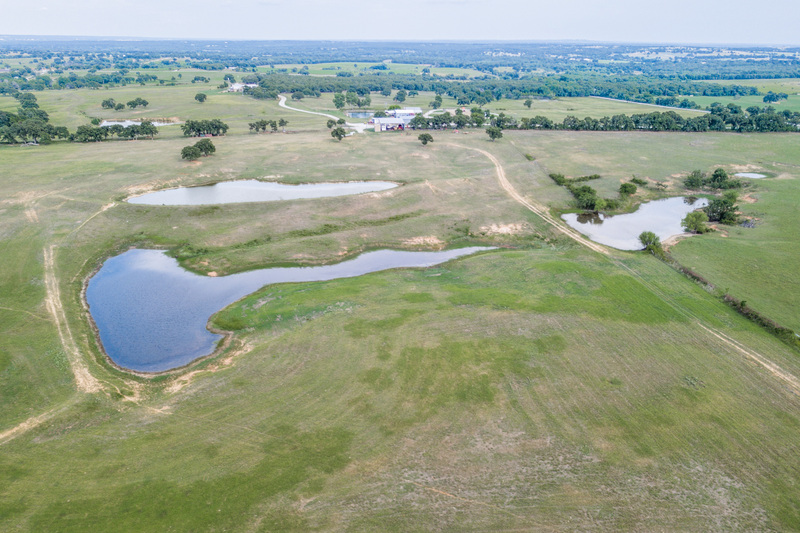 The lowest point of the property is approximately 1,000 +/- feet above sea level located on the eastern border of the property below the dam of one of the lakes. 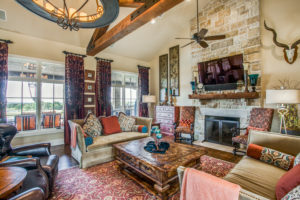 This is truly a luxurious retreat with multiple residences, buildings and barns on the property. The main house is a very impressive 3,900 SF custom built home, designed by well-known Dallas architect Stephen Chambers, built in 2012. 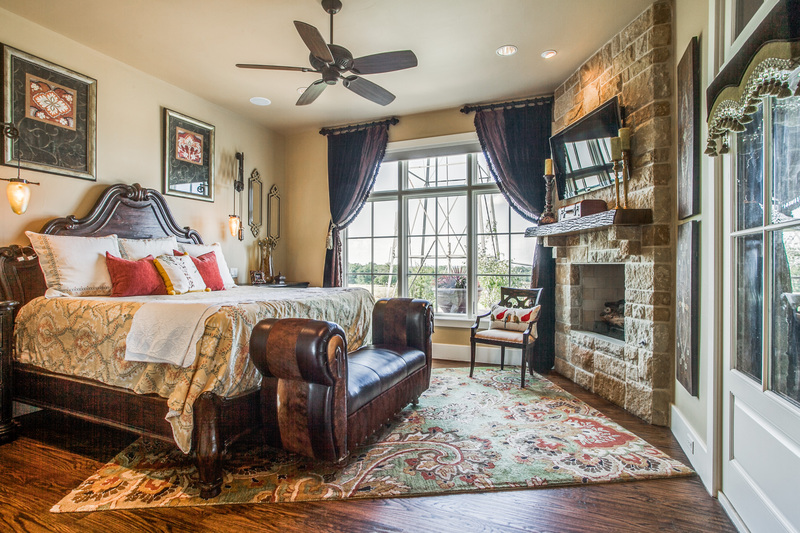 There are four bedrooms, four full baths, and two-half baths with the master downstairs. The large 3 car garage accommodates plenty of room for vehicles and equipment. The irrigated landscaping is beautiful with an incredible front courtyard with water features. 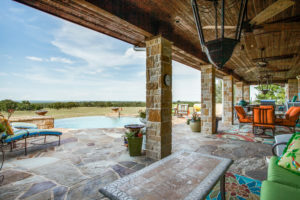 The back includes covered and uncovered stone patio, outdoor kitchen, and an infinity swimming pool, which all overlook the long views of the countryside. Other improvements include a compound area around the outdoor equestrian arena up from the house. Included is a 3 bedroom barndominium and adjacent stone party pavilion with fire place and water overlooking a swimming hole complete with diving board. 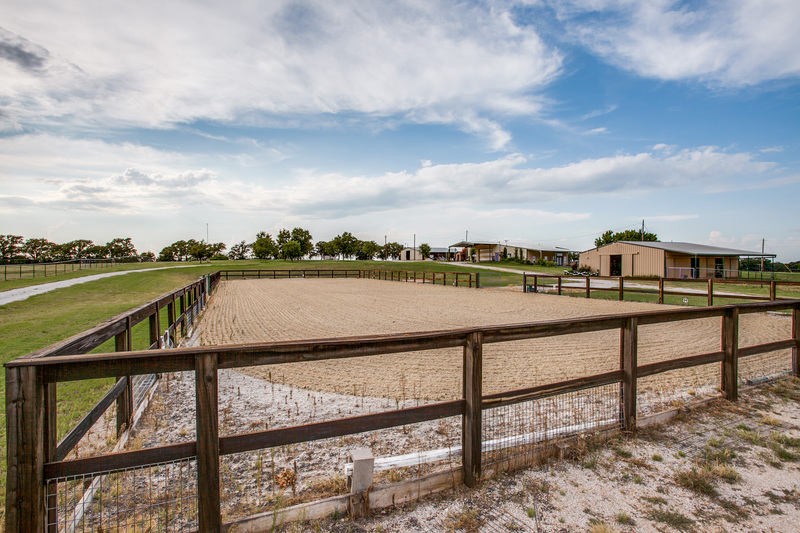 There is a horse barn with three stalls, a spacious one-bedroom apartment, and outdoor turnouts. 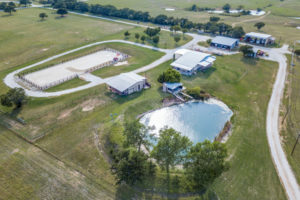 There is another equipment barn with a workshop, several equipment sheds, houses for water wells and storage, and hay storage for tractors and equipment. Additionally, there are two ranch houses (manufactured style homes) for hands on either end of the property. The property has a lot of road frontage with a code access entry gate and various interior roads and trails on site. Lastly, the ranch has a good set of working pens, perimeter fencing, along with cross fencing. This ranch is well suited for the recreational outdoorsman as well as the cattleman. 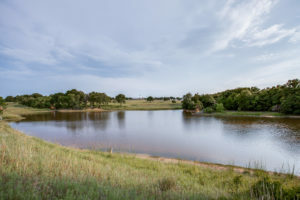 Enjoy fishing in one of the many stock ponds, dove hunting in a variety of pastures, or stocking a big deer in one of the heavily treed areas. Sellers do not believe to own any minerals.